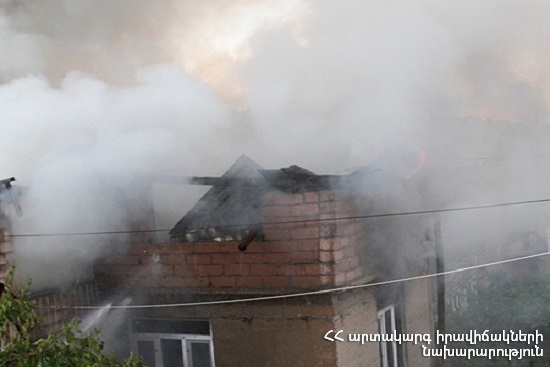 On February 7, at 15:13 an emergency call was received to “911” service that a fire had broken out in one of the houses of Spandaryan street of Ashtarak town, Aragatsotn province. The fire was isolated at 15:24 and extinguished at 15:40. The kitchen furniture of the house partly burnt (10 m2).